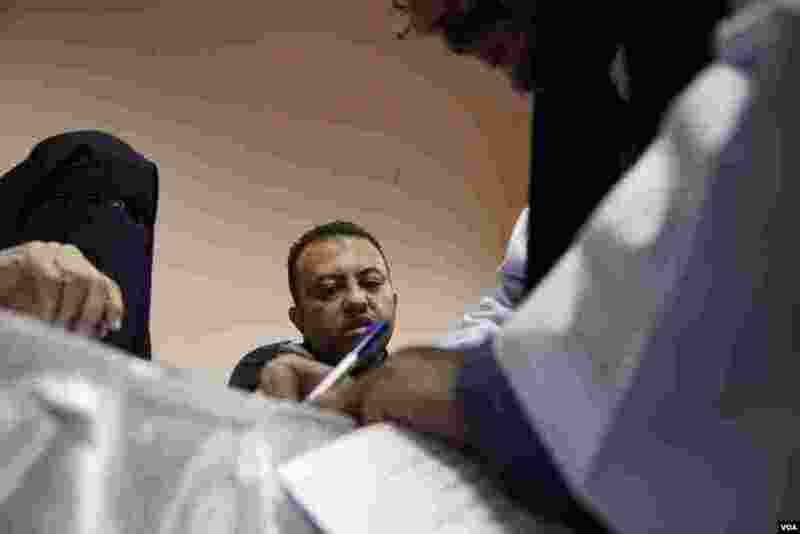 Egyptians in 17 provinces went to the polls Saturday in the second and final round of a referendum over the country's controversial new constitution. Turnout appeared light in some places and heavy in others. 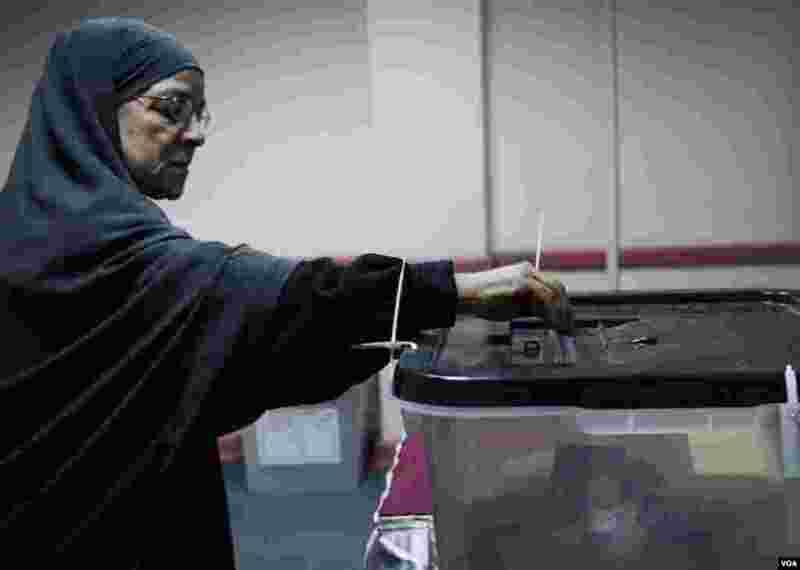 1 An Egyptian woman casts her ballot in Giza, Saturday, Dec. 22, 2012. (Yuli Weeks for VOA). 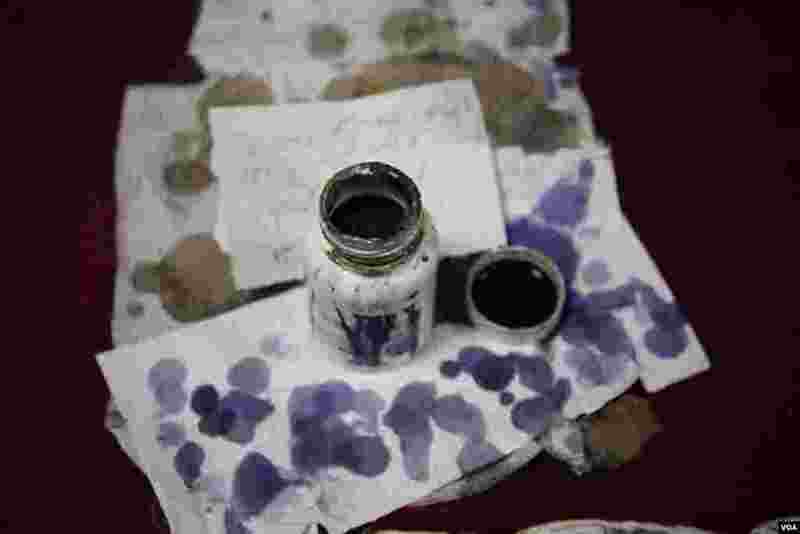 2 Voters stain their fingers with ink after voting to prevent repeat voting , Cairo, Saturday, Dec. 22, 2012. (Yuli Weeks for VOA). 3 Many of the voters in Giza said they would vote no on the draft constitution, Saturday, Dec. 22, 2012. (Yuli Weeks for VOA). 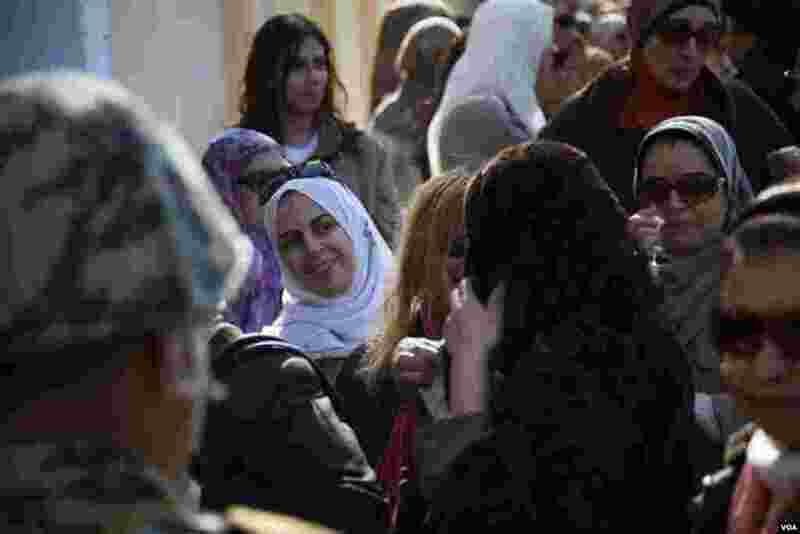 4 Women wait to vote in Egypt's constitutional referendum outside of a polling station in Giza, Saturday, Dec. 22, 2012. (Yuli Weeks for VOA).